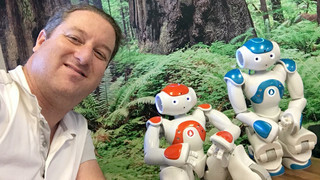 What a pleasure it was to have Elad Inbar, CEO of RobotLAB come on the show this week to talk about how they're using robots to educate kids of all ages! 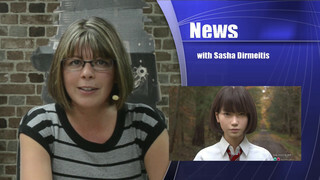 Jeff was off this week, but Sasha took charge of both the co-host and newsroom positions. Three weeks on and production continues on our Episode 471 special which was shot and earlier released in 360 video. Soon we'll have it available in standard view, perfect for watching on your big screen TV. I got our Roku / Kodi / Plex feed back online by switching our VPS to Nimble Streamer! What an incredible platform to broadcast on. We're using a trial version of their panel, but hopefully can continue using it beyond the trial time limit, or figure out how to setup the free server to work without the panel. The reintroduction of an HLS feed led to some viewers asking about us replacing our browser player with HLS (and do away with Flash). This can be done, but is not natively supported by most browsers, so we will need to spend a couple hundred bucks to make that happen for you. If it's something you really, really want (no more Flash!) please add some extra to your contributions this month to help pay that bill. In general, our bills are on the rise, so I'm being very careful how we spend. HLS in the browser can only be done at this time if contributions are made specifically with that purpose in mind. Otherwise I'll hope we can do it soon, but it won't be top priority. Thank you to all our new Patrons, and those who chose to donate this week! Means a lot.